Oasis Tears and Tears Plus are a preservative-free formulation that protects and moistens the surface of your eye. 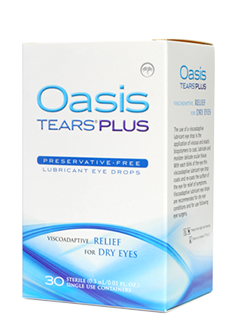 They are uniquely formulated to provide long lasting comfort as well as instant relief for your dry eyes. 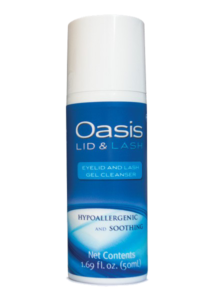 A silky smoothly hydrating cleanser that complements your daily eye care regimen by gently removing debris and dust and cleansing and hydrating the delicate skin around the eye.